2016 Chevrolet Cruze Canada Pricing! Wallace Chevrolet > Chevrolet > 2016 Chevrolet Cruze Canada Pricing Revealed! 2016 Chevrolet Cruze Canada Pricing Revealed! It’s Official: The all-new 2016 Chevrolet Cruze is actually $180 LESS EXPENSIVE than the outgoing model – Cruze L starts at just $15,995 (plus $1,600 destination freight charge)! The new Cruze is $180 less than the outgoing Cruze Limited and ALL MODELS (yes, even L!) 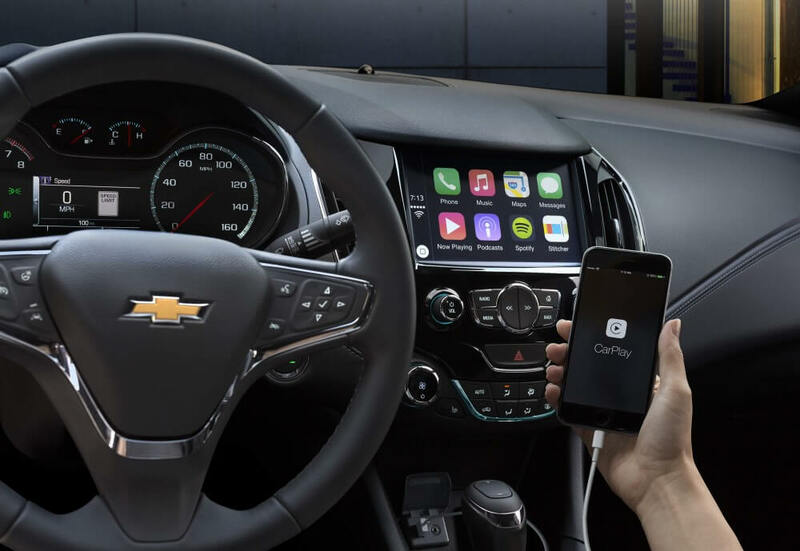 feature more features than ever, like a 7″ MyLink touchscreen along with Apple CarPlay & Android Auto. Also standard is a 4G LTE Wi-Fi hotspot and 10 standard air bags. Want to be the first to own one? Get in touch with WallaceChev to put your name down! The 2016 Cruze is larger, lighter, and roomier than the outgoing model- including two-inches more rear legroom. Under the hood sits an all-new direct-inject 1.4L turbocharged engine estimated to produce 153 hp & 177 lb-ft of torque. A six-speed manual transmission is standard while a six-speed automatic transmission with start-stop technology is also available. Cruze LT represents the biggest bang-for-the-buck, with a price reduction of $520 and the addition of new 16″ aluminum wheels, heated premium cloth seats and exterior mirrors and projector headlamps with daytime LEDs for running lamps. The all-new 2016 Chevrolet Cruze arrives in Canada next spring and we can’t wait to get behind the wheel!